Yay, another piCture pOlish shade! 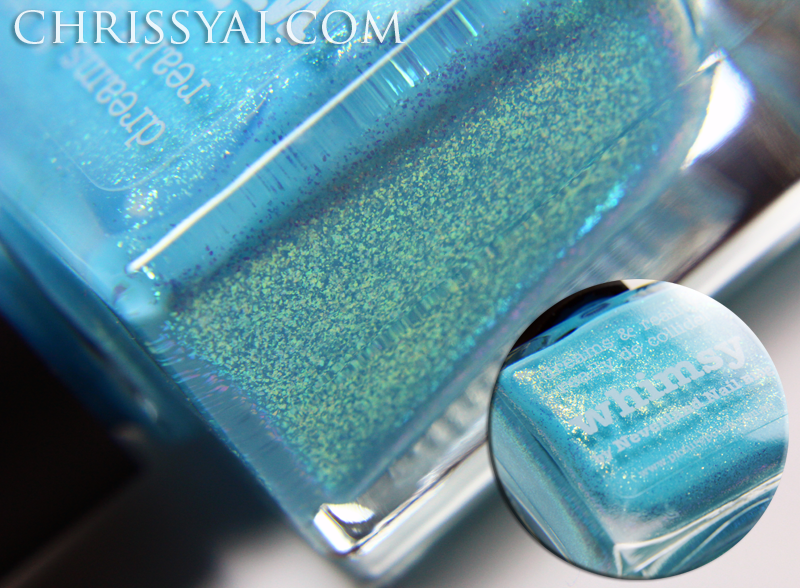 Today's is Whimsy, a collaboration shade with Neverland Nail Blog. I absolutely love this shade of blue, it's so light and delicate looking and to me it has such a cute 'Cinderella' feel to it. 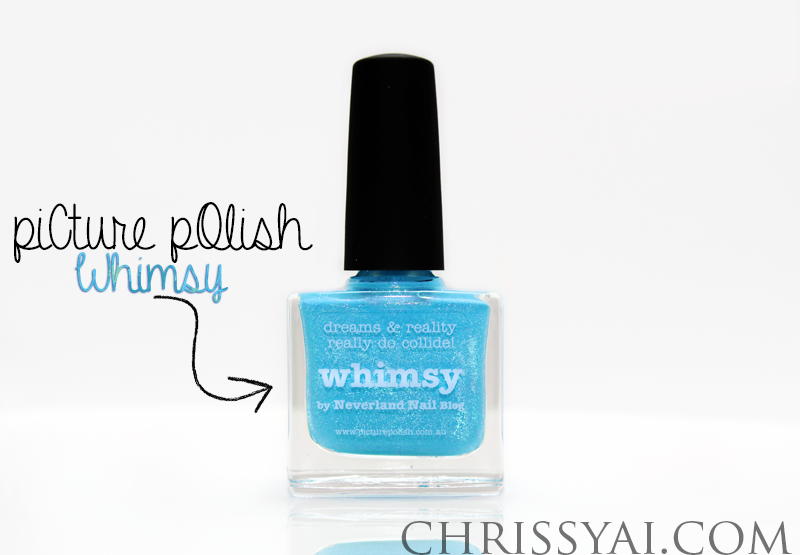 Whimsy is an aqua blue creme shade with gold shimmer which comes through beautifully in direct light. This polish was a little bit difficult when it came to clean up so I recommend being as neat as possible since the shimmers/flakes really like to stick! I was a little messy as you can probably tell and wasn't able to remove all of it. But hey, sparkly fingers can be in too.. right? How pretty! haha sparkly fingers can definitely be in! it looks super pretty! I had never realized it has so many flakes! This is such a beautiful shade! xoxo.